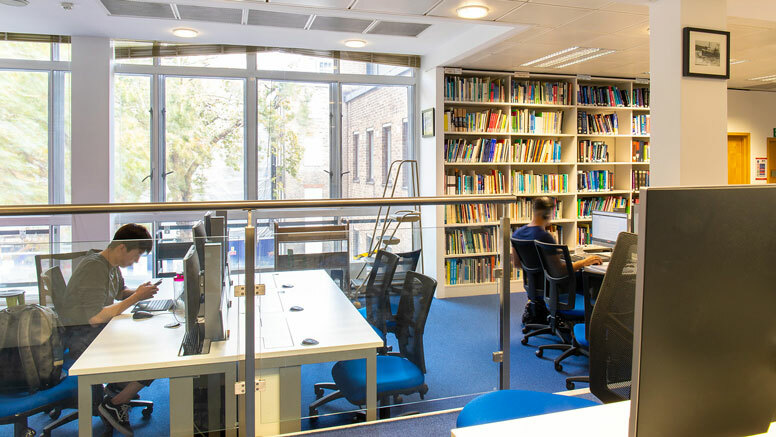 The UCL Great Ormond Street Institute of Child Health (GOS ICH) Library refurbishment was an incredible transformation of both the space and the service we offer our users. 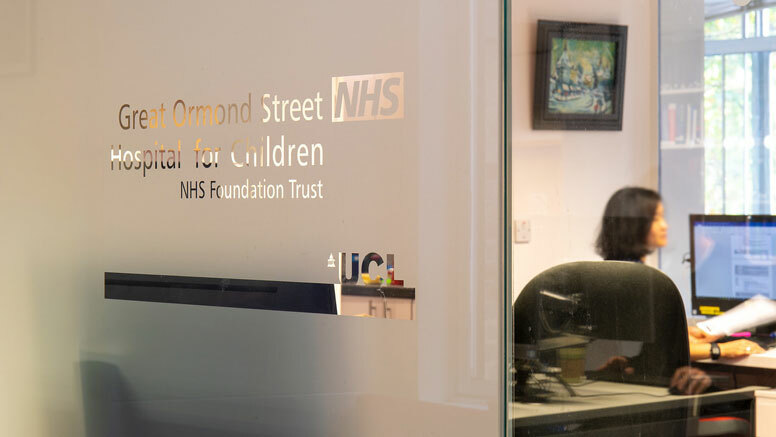 The Library provides information support and information skills training for staff and students at the UCL GOS ICH and staff at Great Ormond Street Hospital (GOSH). The GOS ICH Library refurbishment has been a major boost to current students’ experience, and enables UCL to deliver the “outstanding student experience” set out in UCL 2034 and the customer-oriented services which are outlined both in Knowledge for Healthcare and in the UCL Library Services Strategy. 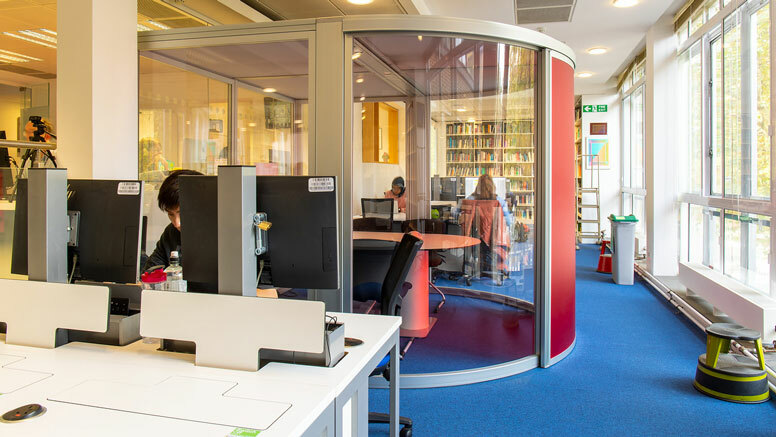 The refurbishment provided over 100 additional PCs for students and formed part of project to increase provision across campus by 500 new study spaces in the summer of 2017. This initiative addressed UCL’s long-term challenges around PC availability and number of learning spaces for students. The GOS ICH Library provides an example of real transformation which delivered outstanding value for money. 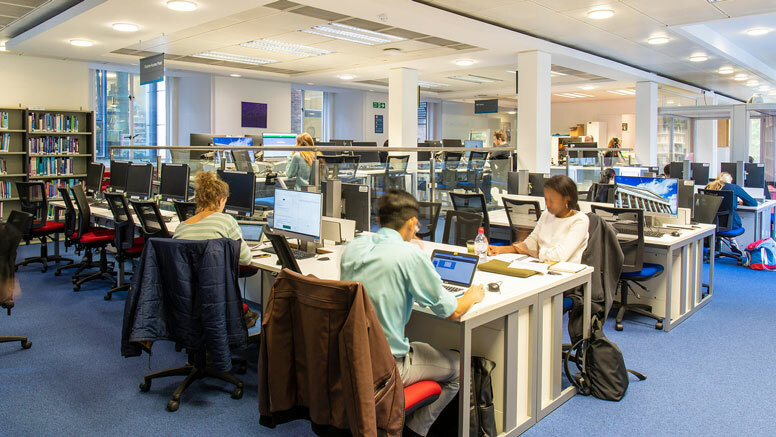 Funding from the UCL Central Estates Strategy Board (CESB) combined with an Information Services Division (ISD)-led initiative to roll out additional PCs for students. The project was jointly managed by Library Services and ISD with support from UCL Estates. Postgraduate Taught (PGT) and Postgraduate Research (PGR) students, as well as a small number of undergraduates, GOSH staff and UCL academic staff. The GOS ICH Librarian worked closely with the Library Buildings Team to represent the interests of all users of the Library. The initial project was to have some desks with fixed computers and some desks with new flexible pop-up computers that can convert at the touch of a button to study spaces. This would have been limiting for NHS users as they would have found lots of desks with UCL computers, which they would not be able to use. NHS staff are unable to use UCL computers and those desks with UCL computers would not have been useful for them, due to the space taken up by the computer. So, with NHS users in mind and in agreement with the project team, all 105 desks were fitted with pop-up computers. By adopting this innovative approach to IT provision, neither UCL nor NHS users are excluded from using any desk, and services are tailored around each constituency’s needs. The project also refurbished the GOSH NHS area of the library with brand new desks, new windows and changed the layout of the space so that the NHS computers and UCL computers for NHS staff to access e-resources are all in the same area. The Library team weeded collections to de-clutter spaces which had been cramped, which helped to take full advantage from the natural light which floods in from large windows. The flexible design of the space provides a range of learning environments which has opened up opportunities for more social learning activities, whilst more traditional study spaces remains available as normal. There is a quiet study room, but also there is the main area of the library where students can now engage in group learning activities thanks to the flexible positioning of the new desks, that can also be used for group work. The new pod is extremely popular, allowing 4 or 5 people to have meetings, prepare presentations or work on projects without disturbing the other users, as it is sound proof. And Library staff can use it for information skills training. There is also a study room with 8 computers which can be used by Library staff for small group teaching. 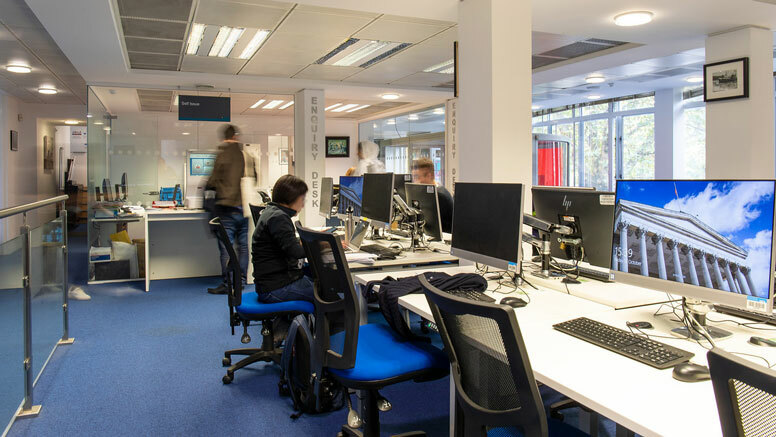 The opportunities which the new library design offers are described in a feature published in the UCL student newsletter by a student journalist. 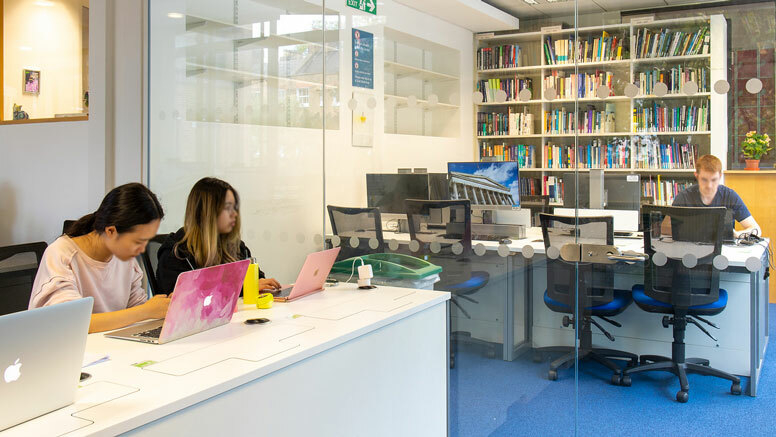 The design has helped to advance UCL Library Services’ approach to learning spaces, particularly in optimising provision of IT-enabled spaces without compromising on the amount of desk space available for laptop users. The design of the GOS ICH Library has been utilised as an exemplar site for the development of UCL’s flagship £65m Student Centre, which opens in 2019. The survey on learning spaces which was conducted in October-December 2017 found 92% of users of the GOS ICH Library were satisfied or very satisfied with the space and overwhelmingly positive comments on furniture which was described by one respondent as “more befitting of UCL”. The results from this survey have been analysed by the Design Team and fed into the selection and planning of spaces in the Student Centre. Planning for UCL East, the university’s new campus on the Queen Elizabeth Olympic Park, is also taking account of the innovative furniture and layouts used on this project. When the library was first opened reactions from library staff and users have been tremendously positive. As soon as it opened the library was an instant success with all the constituencies, including GOSH staff and UCL staff and students. Grazia described the outcome as the result of the refurbishment as “amazing - we have had really good feedback, we even had even some people screaming when they came in as they couldn’t believe how nice it is”. Usage numbers for the library are substantially higher than in previous years. 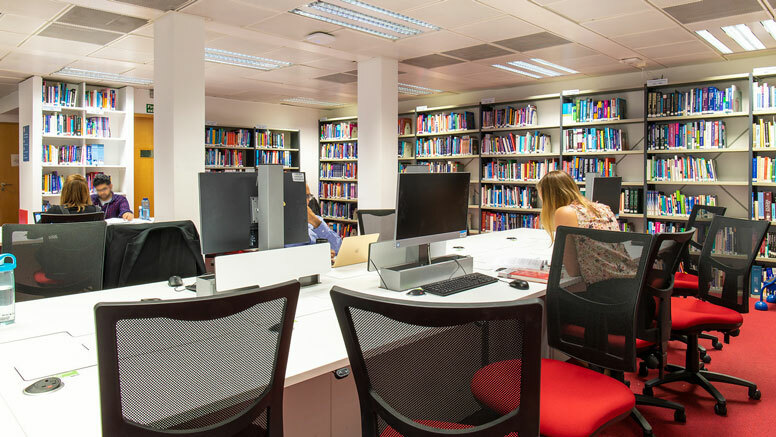 The UCL Great Ormond Street Institute of Child Health Library refurbishment has transformed the library into a high-quality learning environment for biomedical learning and study and, in line with the vision outlined above, it is a source of pride both for UCL students and staff and for NHS staff. In June 2018, the project received the UCL Professional Services Award for “Improving service user satisfaction”, which recognises improvements in the satisfaction levels of service users such as students, staff or visitors. The award recognises the impact which the refurbishment has had, with tremendously positive reactions from library staff and users. It has been short listed for SCONUL Library Design Awards 2019 small category. Audiovisual/multimedia areas, Group study spaces, Specialist subject collections, Meeting rooms, Services to particular groups, Teaching rooms, Open learning provision,Dedicated training room for Information Skills Training. Changed window control mechanism to allow better ventilation. New Kitchen area and 2 new staff offices, group study pod, pop up PC’s on every study desk. RFID, WiFi, charging points, Device lending. Pop up PC’s, NHS terminals, Space Availability System. 105 computer terminals.